Every creative career is littered with mistakes and learning things the hard way. And that’s as it should be. But there’s no reason you can’t learn things the easy way, too. 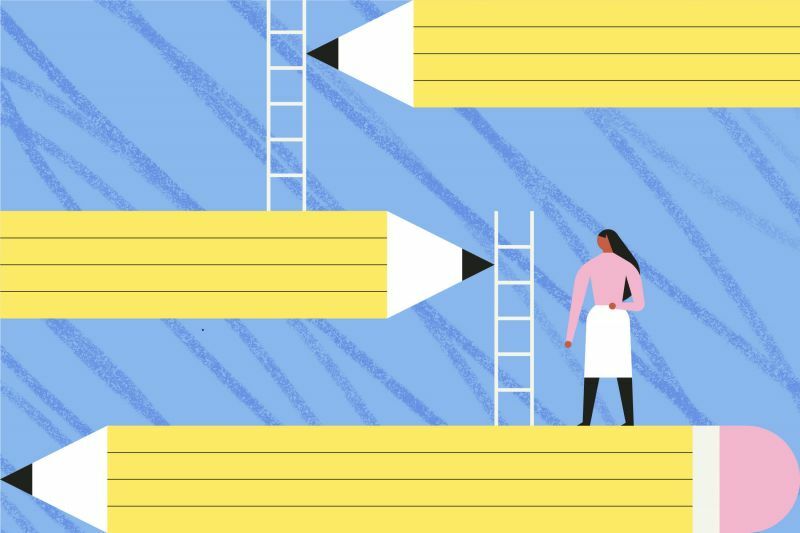 In this post, we’ve teamed up with Coconut – the current account for freelancers and self-employed people – to bring you a selection of game-changing tips from brilliant female founders and creatives. These tips will help to boost your career and aid you in achieving your creative goals. Beauchamp’s tip is the starting point for any creative career: it’s all down to you. That can be scary, especially early on, when you’re used to having parents or teachers to catch you when you fall. When the knockbacks subsequently come (and they will), it’s easy to shrug and give up. But let’s face it, you only have one life… so pick yourself up and keep forging your own path ahead. As Beauchamp says, as long as you’re determined, nothing can stop you. Everyone, in every creative field, feels ‘the fear’. To take one example, even the most world-famous and experienced actors talk about the bag of nerves they become before they take to the stage. So whether it’s an important presentation or a job interview, the only thing to do is recognise your fears, confront them and ideally, harness that all nervous energy into something positive. And as Huffington points out, the more you do so, the easier over time it becomes. We live in a rules-based society, and whenever you do something new, it’s natural to ask permission from someone. But to truly create something new, you need to escape that mindset. People are naturally conservative (with a small c), so whether you’re experimenting with a new colour scheme for a web design or inventing a new type of bicycle, ask permission and the answer will probably be ‘no’. So don’t ask: just do it anyway, and just see where the cards fall. Reality shows like X-Factor and Fame Academy often give the impression that you can become an overnight success if you just get the right break. In reality, the ‘supermarket checkout girl’ who wins those shows has often been working hard as a professional singer for some years; we just don’t hear about it on the programme because that would spoil the illusion. And it’s the same whatever creative career you enter: don’t expect things to just fall into your lap. Decades of hard work are invariably necessary for success, so get used to it. It’s important to stay focused on your goal, but that doesn’t mean there aren’t multiple ways to get there. For example, if you’ve been turned down for that university graphic design course, there’s nothing to stop you self-teaching through books and online videos, and then freelancing once you’re ready. Be as creative in forging your career path as you are in your actual creative work, and you should go far. There’s nothing more off-putting in a job interview than someone who seems uncertain in their answers. Even if you give what the interviewer thinks are the wrong answers, being confident – although not cocky – and outlining a clear and consistent vision is always preferable. Stick to this throughout your career and you’ll find that, even if you rub some people up the wrong way, others will flock to you. If you continue to be unsure of yourself, however, and try to please everybody, you’ll probably end up pleasing no one. While Anna Wintour’s advice, above, is that it’s important to stick to your guns, that doesn’t mean you should be dogmatic to the extreme. When you know a specific project isn’t working, or a particular team or client isn’t right for you, pivoting or bailing completely can be the most positive thing you can do for your career. There’s no hard and fast rule on when to do this, but listen to your instinct, ask advice from others, and be prepared to do a 180 when it feels right. Lily Tomlin’s insightful quote echoes the famous line from John Lennon, “Life is what happens when you’re busy making other plans.” In other words, whatever detailed plans you make for your life and career, the one thing you can be almost certain of is that they won’t pan out in the way you intended. The important thing is that when things go wrong, you don’t get disheartened but treat every problem like a new opportunity. After all, if life was totally predictable, wouldn’t that be dull? We won’t lie: there will be moments in your creative career (if you’re doing it right) when you really feel like you’ve bitten off more than you can chew. That might be agreeing to an impossible-seeming deadline, working with a collaborator who you’re intimidated by, or promising a level of creativity you’re not sure you’re capable of. What you need to remember is that everyone has these moments, and it’s a natural part of your career progression. Those who stare down impostor syndrome and just get on with it are the ones who succeed. There’s no ‘magic’ way to get confidence: it only comes as the result of a hard slog through trying circumstances. Play it safe – avoiding difficult decisions and challenging projects – and you’ll never get there. Alternatively, you can follow the advice of Debbie Millman, as revealed in this interview and right dive in. Although things may well get tough, you will emerge a more confident, rounded and successful creative. Wouldn’t you like to go through your whole career without ever making mistakes? Sounds good, but actually, as Paula Scher points out, if you did that, you’d never progress. So when a mistake happens, don’t beat yourself up: embrace it and learn from. Because that’s what’s separates the career successes from the career failures. When we’re younger, we have a particular idea of what success looks like, which is usually informed by what our peers and superiors think. When you get older, though, you realise that having the high earning job with the big house and career may not be what you want out of life. Maybe success to you is doing something you love, regardless of financial benefit. It could be working fewer hours and having a great work-life balance. Whatever it is, the important thing is to ignore what other people think entirely and work towards a version of success that’s right for you. Many people see creative success as emulating others they admire, and that’s fine. But there comes a point as a creative when you have to become more than just a carbon copy of someone else. Be inspired by others, for sure, but it’s vital to focus on what makes you and your work unique. Whatever that is, it’s what will make people notice you and want to commission you. Without it, you’ll just vanish into a crowd. People often perceive creative success as a one-off event: a hit film or song, or a piece of work that wins awards or goes viral. But you don’t want to spend your whole career looking back at your ‘moment’. True success, as Elizabeth Arden suggests, is about having a reputation for continuous good work, and that means putting in the hours. This may not be what most (non-creative) people think a “glamorous life” is about. But truly creative people know that doing what you love isn’t really hard work at all. When a great deal of money or attention is involved, it’s often tempting to accept a commission that clashes with your ethics. But as Janis Joplin says, compromising your integrity is a sure-fire way to risk your entire career. Reputations are built on consistency and authenticity, so if a job feels wrong, just don’t do it. Stick to your guns, and better opportunities will be sure to come along over time.